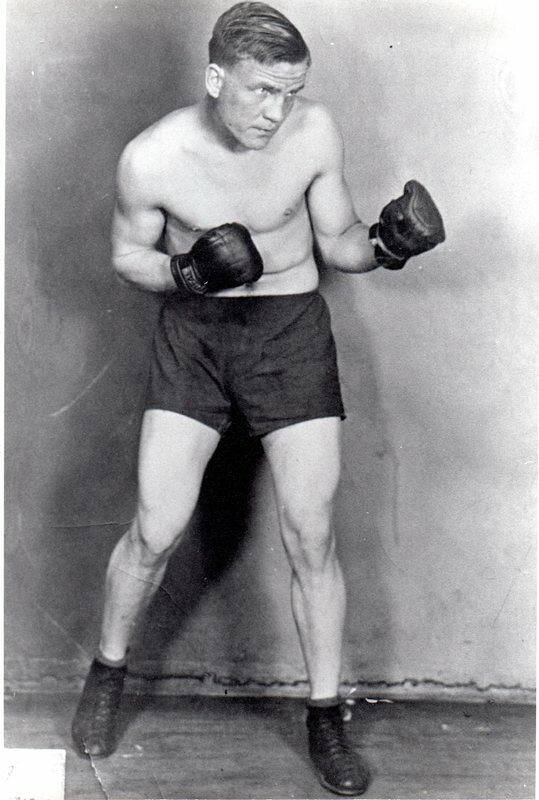 A promotional photo of Eino "Bonesy" Nyholm. He was the New England Golden Glove Champion in the 160 lbs. class, He served on the Maynard Police Force for many years and was a real friend to all. 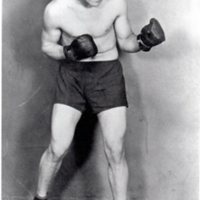 “Eino Nyholm Golden Gloves Champion - 1932 ,” Maynard Historical Society Archives, accessed April 23, 2019, http://collection.maynardhistory.org/items/show/2341.